Even though you have a big list of songs in your iTunes library still it is better to listen from iPhone. As Apple Inc is introducing new models of iPhone, they might forget about making fast sync and transfer process between the iTunes and iPhone. So, if you want to add songs from iTunes to iPhone then you have to set it up first. So, here, in this article, we are going to learn how to add music from iTunes to iPhone without any hassle. Luckily there is more than one method to sync the files altogether. The first method to learn how to add songs to iTunes is the manual method. Normally the iTunes software has an automatic syncing feature, but you can switch to the manual mode. This mode can help you sync particular files and playlists with simple and easy steps. 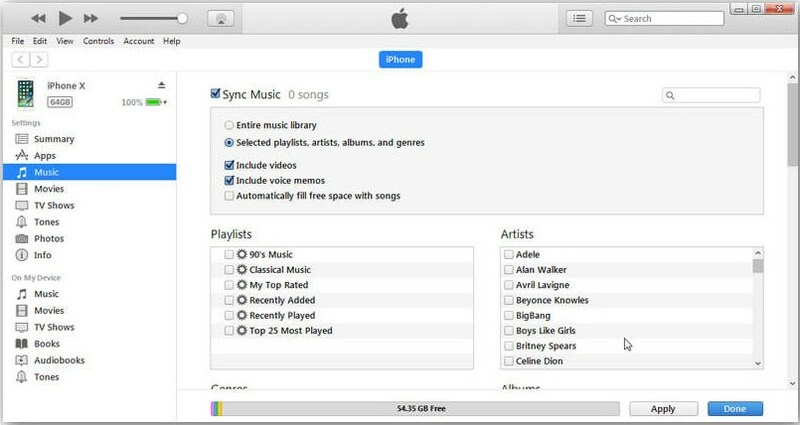 With this feature, you can sync up the iTunes library with various devices including iPod Touch and iPad. Step 1: Launch the iTunes software on your computer and connect your device with it. Open the Summary tab and you will see various options. Step 2: In the Options tab, click on the “Manually Manage Music and Videos” option to enable the mode and Apply the settings. Step 3: As the mode is on, you can now select particular files and transfer them to the iPhone/iPad/iPod. Click on the Music option from the drop-down menu from the menu bar and the files will be displayed on the screen. 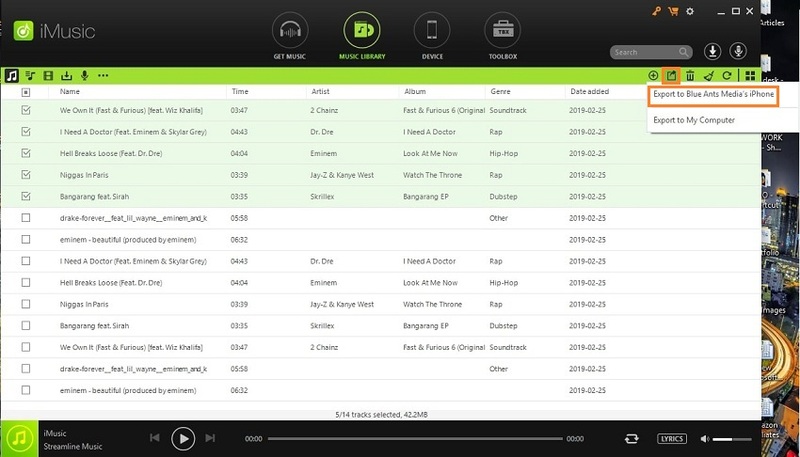 Step 4: Now the songs are displayed, you can select as many files as you want. To transfer the selected files to your iPhone/iPad or iPod Touch, just drag the files and drop them on the device icon. There you will have all the files from the iTunes library to your device easily. You can also add a playlist with this method. By default, the iTunes library is automatically synced with the device. With the automatic sync, you don’t have to worry about the ringtones, audiobooks, albums, songs, playlists, and podcasts too. Plus, you won’t have to worry about adding songs from iTunes to iPhone every now and then. Step 1: Launch iTunes on your computer and make sure that you have the latest version of iTunes. 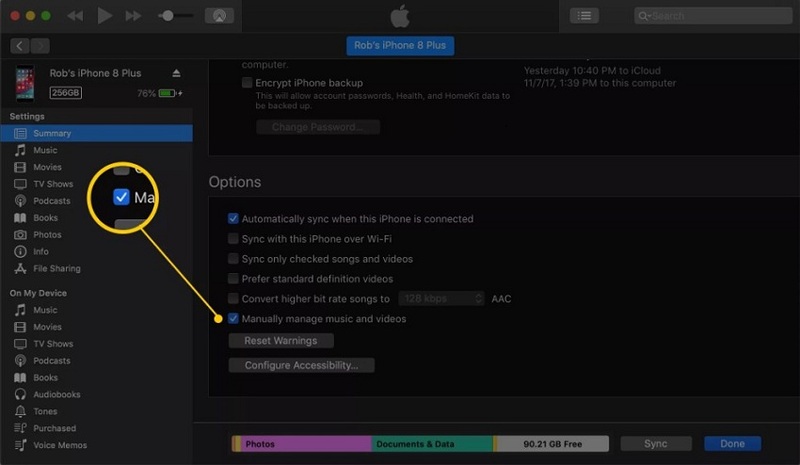 Connect your device in which you want to transfer the music files. Step 2: Click on the device icon in the menu bar and the settings tab will open up. Tap on the Summary option and click on the Music option under it. 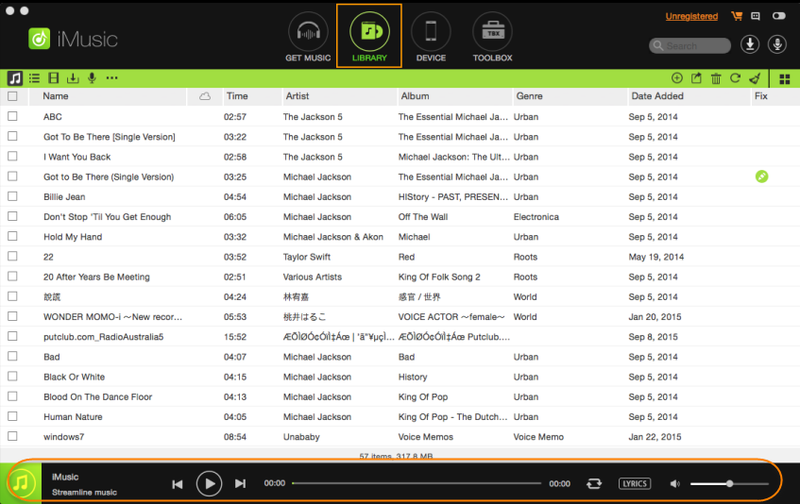 Step 3: As you click on Music, you will see further options asking you to select the content which you would like to sync. You can select the music library, playlist, artists, albums, and genres. You can also include video and voice memos if you want to. Step 4: Tick the box that you like to sync and click on the Apply button to initiate the automatic sync. Depending on the files, the automatic sync will take some time. From now on, every time when you add new files in your iTunes library, the file will also be added in your device. If you don’t want to go through the automatic and manual mode hassle, then you can switch to iMusic anytime. This software will allow you to manage the music library of your device and sync it up with iTunes. You can use all features that are available in iTunes and more. 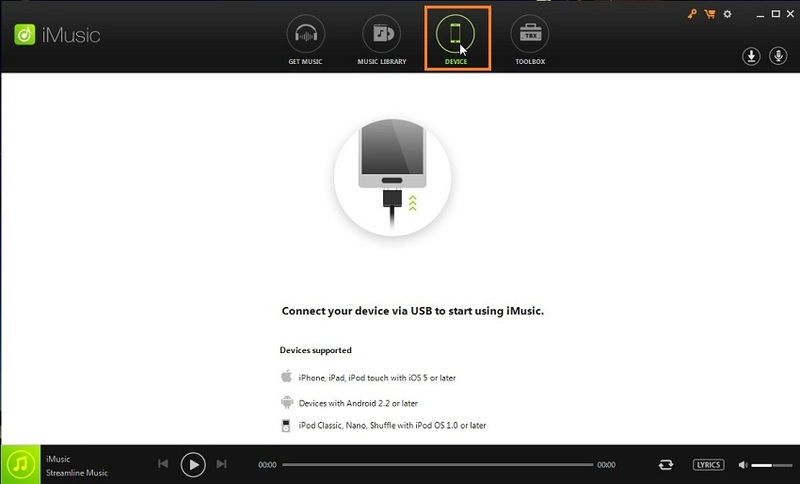 This software offers an easy way to add songs from iTunes to iPhone. With incredible and brilliant features, the software in more than just a simple syncing tool. It is a complete management tool for iOS devices. 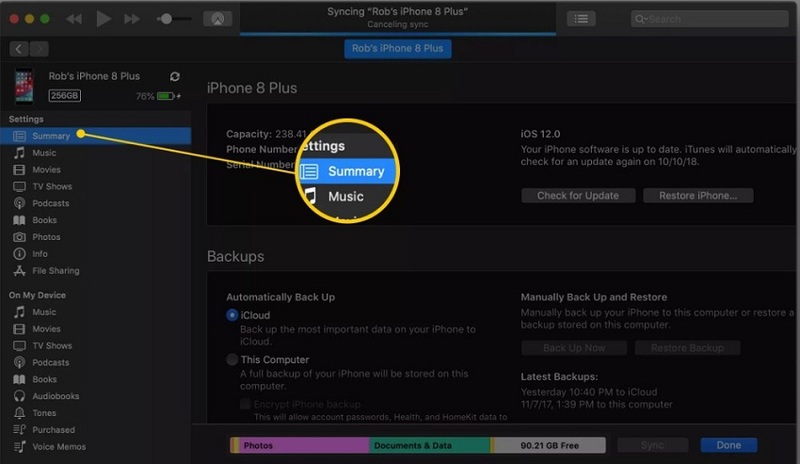 Add Songs from iTunes to iPhone without erasing existing data. Begin by downloading and installing the software on your computer and launch it when it is properly installed. As you run the software, the homepage will open up and you’ll have to switch to the Device tab. 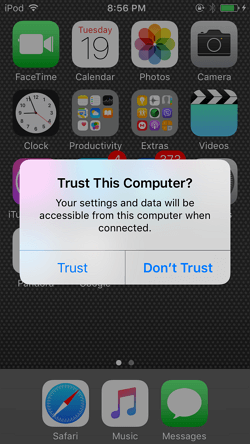 Connect your iOS device with the computer and the software will detect it and list several options. 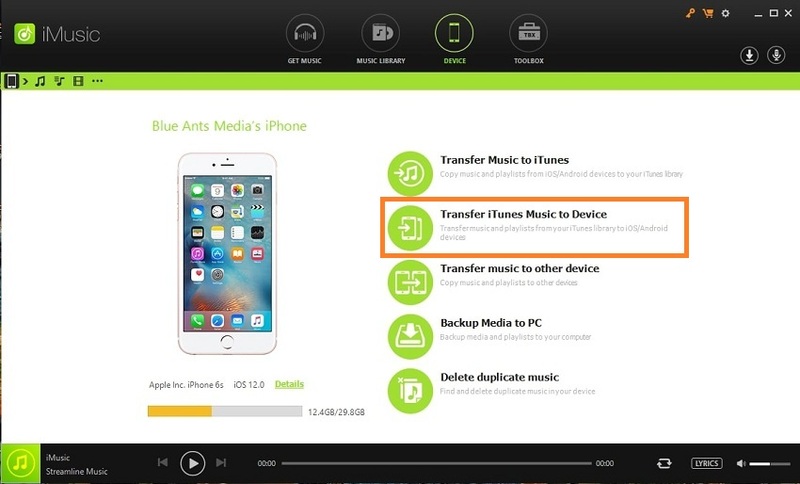 Choose the second option which says “Transfer iTunes Music to Device”. The software will scan the iTunes data and enlist it on the screen. 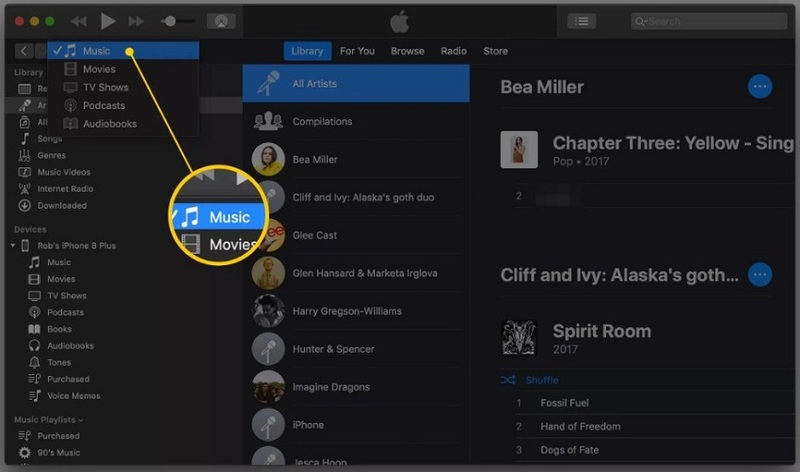 You can select music, videos, movies, podcast, audiobooks, and other iTunes data. You can either select a few of them or all of the file type to transfer them to the iOS device. 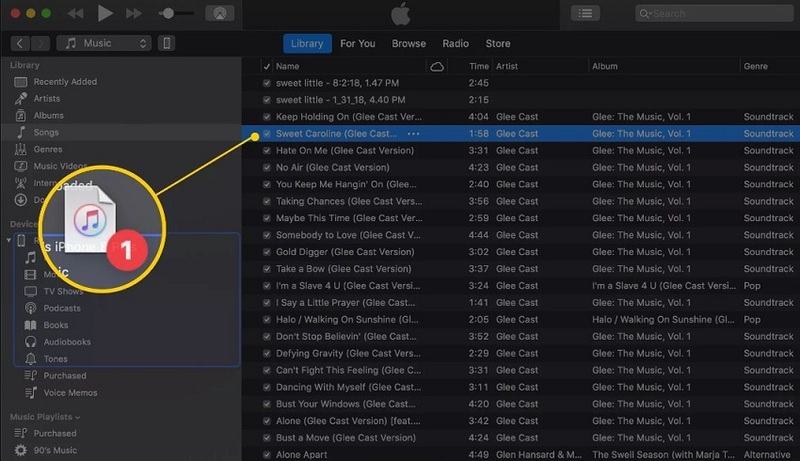 Select the music files listed on the screen and when you’ve selected the files, click on the share button in the menu bar of the software interface. Choose the device name and the files will be exported from iTunes to your device immediately. You can also right-click on the selected files and choose the Add to option and select the device name to transfer the files. From the icons you see next to the Music icon, you can find specific options for the podcast, audiobooks, playlists, and a few other options too. Once you have learned how to add music from iTunes to iPhone, you will often try transferring the media files. But there are certain scenarios where the iTunes won’t work and you won’t be able to sync the songs and other media files with your device. The main issues are when iTunes lost track of the files and can’t sync them with the device. In such conditions, the reason for the issue can be many. Luckily the solutions for such kinds of problems are also numerous. And the fixes work out for most of the errors. So, try these tips if your iTunes won’t work. Error 5000- This means that there is a problem with getting permissions of the Mobile Application Folder. Due to this, the file you try to download couldn’t be saved. Error 69- It happens when you are trying to sync iPod and iTunes. Error 13010- This error states that the iTunes application can’t be opened. Error 13014- It prompts to quit and reopen iTunes application. Mainly these are the most common errors you’ll get when you are trying to sync music with iTunes. So, here are the fixes that you can try to resolve the issues. Instead of trying to transfer multiple files at once, choose a few files. Keep doing this if you don’t see the error again. There are chances that there is a file which might be causing the issue. With the partitioned transfer, you will be able to identify that file and delete it. The main reason why iTunes gives errors while working is that either iTunes or the device software needs an update. Just launch iTunes and go to the Summary tab. To update the device, simply click on the Check for Update option and if an update is available, then immediately update the device software. In case iTunes requires a software update, go to the Apple menu and open System Preferences. Then tap on the Software Update option and the system will check for possible updates. You can also visit the App store and directly update iTunes from there. Sometimes, the iTunes media files are stored in a different location which led to syncing errors. For this, you’ll need to consolidate the data files in just one place. Search the database and properly organize the data so that the iTunes media library can also organize them well. If you can’t detect any errors caused by the iTunes application and the device, then there is a possibility that your system security tool might be causing the errors. Sometimes, the security software also interferes with the syncing process. Check the settings and change them if necessary and then try syncing the music files. If none of the methods seems to resolve the issue, then try uninstalling the software from your system and then re-install it. 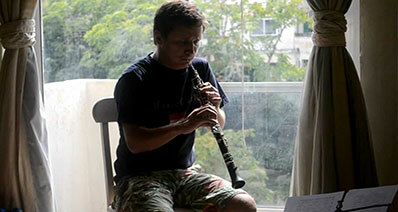 Hopefully, one of the above-listed methods would resolve your problem you are facing to add music from iTunes to iPhone. Conclusion: Using iTunes directly seems like a more viable deal to automatically sync up the files between iTunes and other iOS devices. But when it comes to the manual method, the users often get confused and make mistake. Therefore, using iMusic is recommended. With this software, you won’t have to face complexity as it has a direct and simple method for manual transfer of songs. So, it will be better if you add songs from iTunes library to iTunes with iMusic.